The Louvre Museum has 8.5 million visitors per year. This blog was viewed about 79,000 times in 2014. If it were an exhibit at the Louvre Museum, it would take about 3 days for that many people to see it. Recently I have googled about GPdotNET to find out how people use GPdotNET. 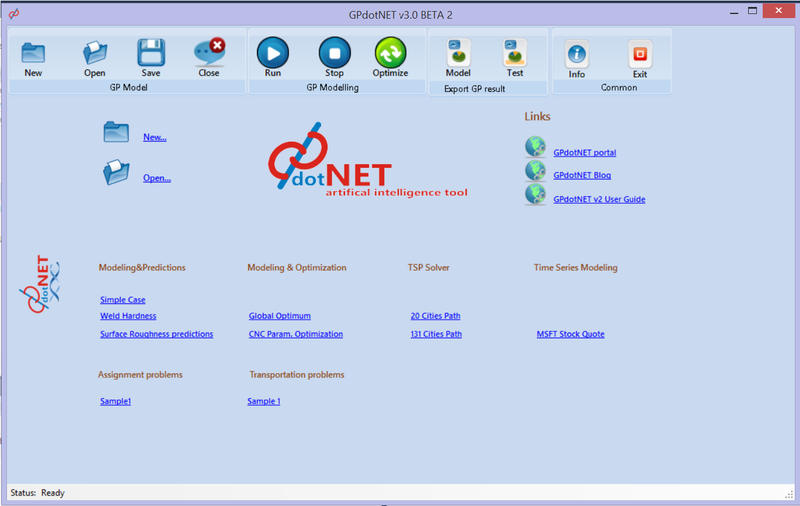 I was surprised that there are plenty of sites which are published GPdotNET as freeware software. I have also found several scientific papers which citated GPdotNT as well. Some other people used it as elegant example in their lessons. Some students used GPdotNET in seminars and diploma works, master and phd thesis. All in all I was very excited about it. So lets list some interested web sites and scientific paper which mentioned GPdotNET. 5. Karlsruhe Institute of Technology Paper Work: Evolutionary Algorithms. As currently implemented GPdotNET has classic crossover implementation without any intelligent way to exchange genetic materials. In most time classic crossover operation is destructive operation wasting lot of good genetic materials. By including brood recombination crossover can be slightly improved. 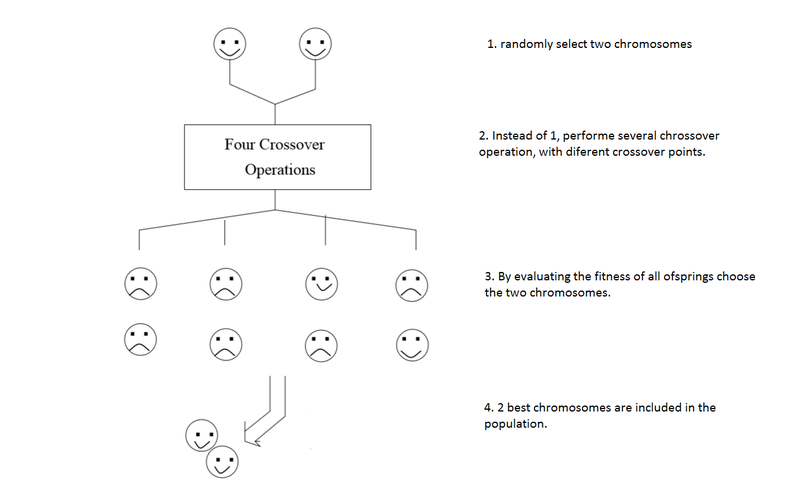 Brood recombination simple repeats crossover operation several time on the same parents, with different crossover points. After fitness evaluation of offspring, the best two child are kept and others are discarded. On that way there is a better chance to get better child than with classic crossover. The picture below graphically describes brood recombination. 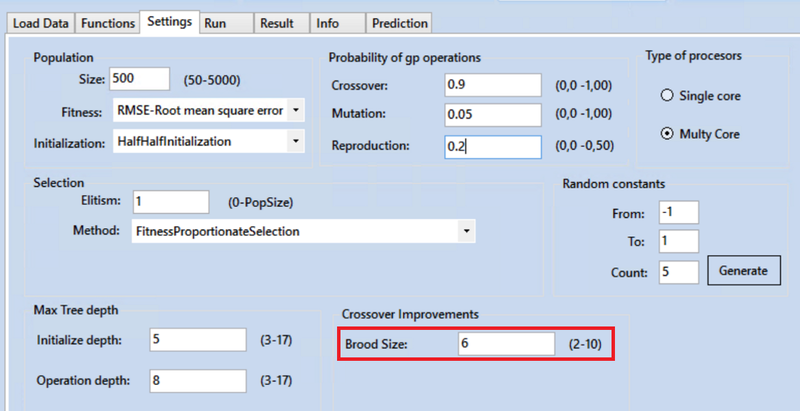 The first feature which will be implemented is manually setting the Brood Size of crossover. By adding Brood Recombination, we will increase possibility that two chromosomes will exchange the best genetic material they have. The next feature will be brood size which will be generating dynamically and will be dependent of the generation number. After Microsoft TechDay finished yesterday I got several emails and questions about my demos and slides from the Azure Workshop. Slides about Microsoft Azure Training are general available at Git site: https://github.com/Azure-Readiness/DevCamp. Once more thank you all for attending the workshop and see you next time. I am very glad I can see lot of people interested in Microsoft Azure and other cool technologies from Microsoft. Here is a simple way to remove items from currently enumerated list. Put the list in while loop and make a manual index counter (var ind=0). Within while loop, every time items is removed decrease the index counter, otherwise increase the index. Lokalni ured Microsofta u BiH ove godine u sklopu TechDay 2014 organizira 4 radionice koje će ponuditio cjelodnevnu edukaciju zainteresiranih iz 4 popularne teme. Jedna od nezaobilaznih tema svakog Microsoft događaja je svakako Azure, odnosno Microsoftova Cloud Computing platforma, a koja je od ove godine dostupna i u Bosni i Hercegovini. Sve 4 radionice su potpuno besplatne, a zainteresirani se mogu registrovati putem slijedećih linkova. Klikom na zeljenu radionicu otvorit će se link sa registracijom. Ove godine pripala mi je čast da budem jedan od 4 voditelja radionica, i to upravo Azure radionice. U sklopu Azure radionice održat će se 6 predavanja, koja će obraditi sve značajne dijelove ove platforme. Radionica je namjenjena kako početnicima i zaljubljenicima u Cloud Computing platformu, tako i developerima, IT profesionalcima i managerima. Microsoft Azure platforma danas predstavlja najkompletniju, najkvalitetniju i najbrže rastuću Cloud Computing platformu, koju 80% Fortune 500 kompanija koriste. Vidimo se na Azure radionici.